At Ear Care Lab, we are experts in all matters relating to ear wax and its safe removal. We have safely treated thousands of patients over several years and are proud to offer a service that is second to none. Why is Ear Microsuction Better Than Ear Syringing? Ear wax is a waxy material produced by sebaceous glands inside the ear. It cleans, lubricates and protects the lining of the ear by trapping dirt and repelling water. Ear wax is slightly acidic and has antibacterial properties. Without ear wax, the skin inside your ear would become dry, cracked, infected or waterlogged and sore. It is extremely important to remember that due to its protective properties, a thin layer of wax left on the lining of the ear canal, following procedures such as syringing and microsuction, is extremely beneficial. The aim of ear wax treatment is not to completely eliminate ear wax. Ear wax can be wet or dry, hard or soft. Soft ear wax is more common in children and hard ear wax is more likely to cause problems. Everyone makes ear wax but the amount and type are genetically determined just like hair color or height. Some people have ear canals that are smaller than average or shaped in a way that makes it difficult for the naturally occurring wax to get out of the canal, causing wax impactions. Some people produce more ear wax than others. It usually falls out of your ear gradually, in small pieces or flakes. Sometimes, ear wax can build up and harden, creating a blockage called a “plug”. As well as causing discomfort, an ear wax plug can also cause temporary hearing loss because it blocks your ear canal. Once the blockage is removed, your hearing will improve. Ear drops can be used to soften and loosen the ear wax. Ear drops should not be used if you have a perforated eardrum. Ear drops vary in composition from olive oil, to sodium bicarbonate to hydrogen peroxide based drops available in many pharmacies. Olive oil is generally completely harmless but sodium bicarbonate and hydrogen peroxide based drops can be quite irritant to the ear canal so must not be used for prolonged periods. Ear irrigation or Ear Syringing is often used in many GP surgeries. Ear Syringing involves using a pressurised flow of water to remove the build-up of ear wax. Ear Syringing is not as effective as Ear Microsuction in many cases. Microsuction is a technique for removing ear wax or debris using either an ENT (Ear Nose and Throat) binocular operating microscope or specialised magnification loupes (similar to the type dentists use). This allows the clinician to look in the ear canal in great detail and use a very fine sterile suction device at low pressure to remove the wax. This process is not dissimilar to using a tiny vacuum cleaner inside the ear to remove the wax. Occasionally we may need to use other instruments to remove hard wax (such as Jobson Horne probes or micro forceps). Using microsuction means that we can visualise the external ear canal and its contents in great detail while having minimal physical contact with the earlobe. This makes the process more comfortable for patients. Preparation of wax with olive oil ear drops is not usually necessary but may make the procedure faster and more comfortable for the patient. This is discussed in more detail in the FAQ section. At Ear Care Lab we provide safe, effective ear microsuction to remove ear wax or other causes of ear blockage and to treat external ear infections. Microsuction ear cleaning is the safest method of removing ear wax. This method of ear cleaning usually requires no preparation (i.e. olive oil or other types of ear drops prior to your appointment). Our Ear Microsuction Clinic in Ealing has successfully provided ear wax removal for thousands of patients over a number of years. All our consultations and ear cleaning / ear wax removal services in Ealing, London are with highly experienced microsuction specialists. 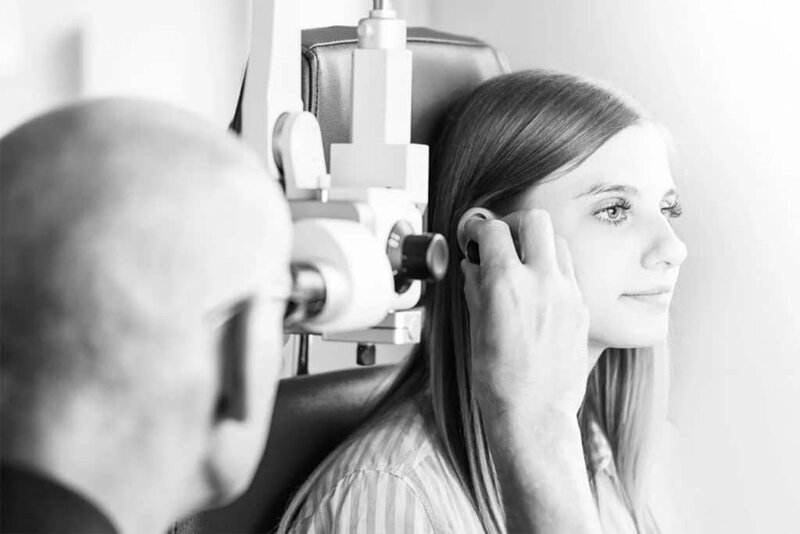 Our team consists of GPs with a specialist interest in ENT Medicine as well as our Senior Specialist Audiologist. We are experts in ear wax removal and this is why other clinicians come to us to be trained, via our gold standard Ear Care and Microsuction Training Course. Our training organisation, the Ear Care Academy is delighted to announce the next available course for aural microsuction. This 2 day course will be on Saturday the 2nd March 2019 and Sunday the 3rd March 2019. Operating from a world class teaching hospital set up, the course will take place at the NHS Charing Cross Hospital, London Imperial College Healthcare Trust, Audiology and ENT department. The course is open to national and international audiologists, hearing aid dispensers, GPs, nurses, advanced nurse practitioners, pharmacists and physicians assistants. Please visit our website to book your place and please note that places are limited. Dr Alex Fragoyannis, a GP in Ealing who specialises in microsuction ear wax removal. He explains more about the dedicated service he has set up and how DP Medical is involved. I am a GP partner in Corfton Road Surgery in Ealing and have had a specialist interest in ENT Medicine since before qualifying as a GP in 2006. I have informally been performing ear microsuction wax removal for several years but two years ago I decided to set up a dedicated ear microsuction service – Ear Care Lab. This was in order to fulfil a growing demand for microsuction from patients not registered with our practice. Another reason for setting up this dedicated service was to help reduce onward hospital referrals for microsuction to already over-pressured ENT departments. DP Medical supported us by visiting our clinic and explaining the requirements of a full microsuction setup from consumables (tubing, suction probes), to suction devices and ENT microscopes. They provided exceptionally good package prices for these items and we use all their equipment including the excellent SOMRON ENT microscope on a daily basis. Our course is delivered on real patients and offers closely supervised hands-on experience over an intensive two days training at Charing Cross Hospital. DP Medical kindly provide ENT microscopes and suction equipment for our course and enable delegates to experience the equipment they might use in their own practices. We feel their equipment provides an excellent combination of quality, functionality and value for money and it’s been great to build a really successful relationship with them. Impacted ear wax, leading to blocked ears and hearing loss as well as fullness and discomfort, is common. It is estimated that just under a third of older people experience the problem. In the UK thousands of people every week have ear wax removed. The chances of wax accumulating are increased by use of external objects in the ear canal including hearing aids and cotton buds. The traditional method of ear wax removal in most GP surgeries in the country is by irrigation (ear syringing). In the past, large hand-held metal syringes were used to manually inject water at high pressure in the ear. This was designed to flush out wax. These manual syringes resulted in variable pressure of water injected into the external ear canal. This caused large numbers of complications including external ear infections (Otitis externa), middle ear infections (Otitis media) as well as ear drum perforations. Ear syringing is now performed using Ear irrigation machines which apply a safer, more standardised pressure via special ear irrigator tips. Ear syringing/irrigation still results in rather a large number of complications. A more recent systematic review (Cleg et al, Health Tech Assess, Jun 2010, 14 (28), 1-192) found limited good-quality evidence on the safety, benefits and costs of the different strategies of ear wax removal. Complication rates are vastly reduced in comparison with ear irrigation. At Ear Care Lab, we only utilise ear microsuction in order to remove ear wax or debris (i.e. we do not perform ear syringing or irrigation). We are able to view the external ear canal under high magnification at all times during the procedure and also have the ability to utilise video-oto-endoscopes for even more detailed viewing. All our ear procedures and consultations are performed by experienced doctors (i.e. no nurses or healthcare assistants perform microsuction in our clinics). Failure of ear wax removal occurs in around 5% of our patients. Usually these patients have extremely hard/immobile ear wax and need softening ear drops prior to further attempts at microsuction. This rate falls to 0.5% at the second visit with only a handful of patients ever requiring a third visit. Overall, it is our belief that ear microsuction is the gold standard method of removing ear wax or debris in order to achieve symptomatic relief from ear wax blockage and to treat external ear infections.